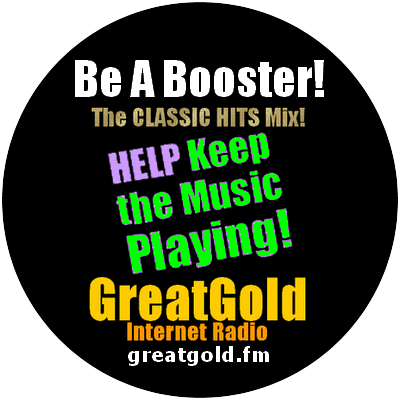 GreatGold.fm Classic Hit Oldies is an independently operated internet radio station located in the United States of America. GreatGold believes the creative people who produce the great music we play deserve compensation for the popular masterpieces we all enjoy. Therefore, we pay ASCAP, BMI, SESAC, and SOUND EXCHANGE fees and internet play music royalties with funds derived from donations by listeners. Please enjoy the music and be a GreatGold Booster.